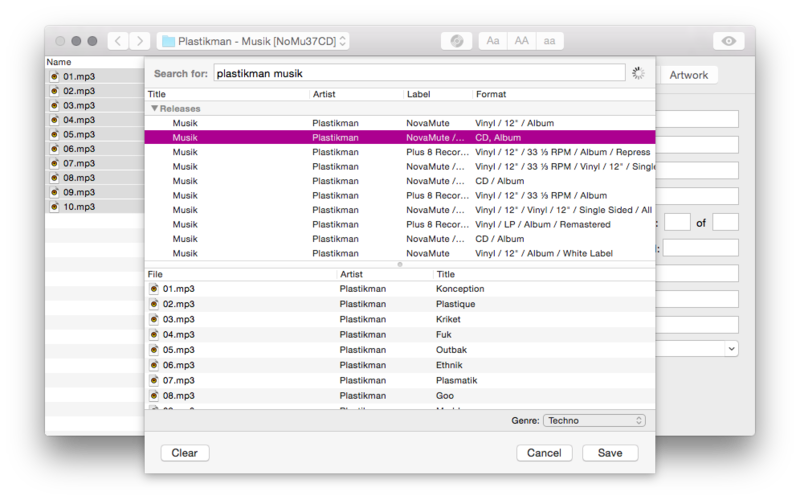 Organise your music with many more ID3 tags than iTunes and other music software. Tag your music by searching Discogs, the most comprehensive music database on the web. 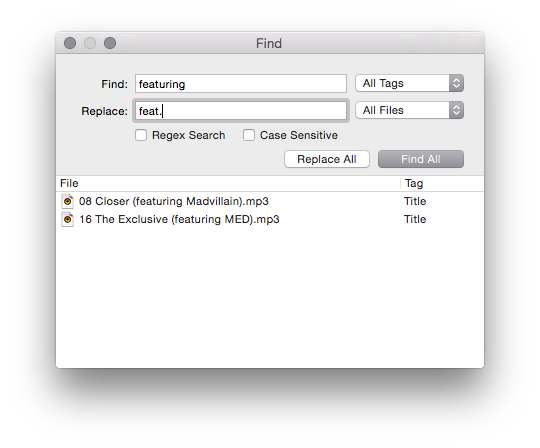 Use regular expressions to perform powerful, complex find and replace operations on tags. 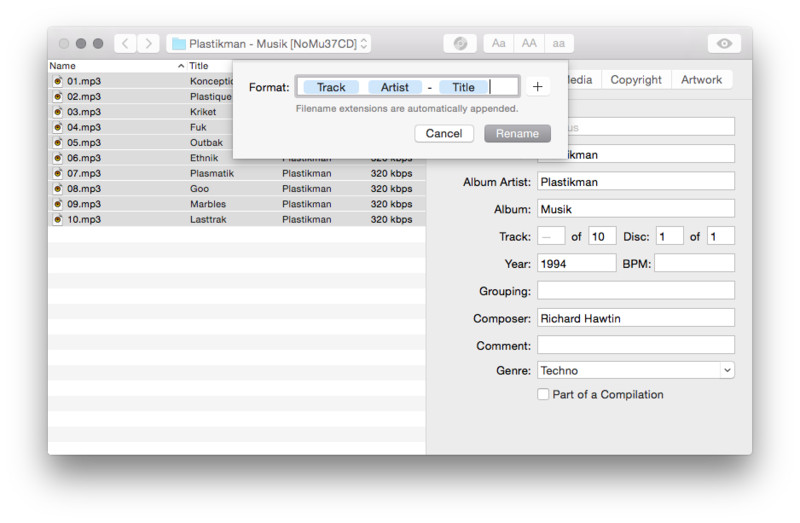 Delete personal information hidden in your iTunes purchases, including iTunes account and purchaser data. 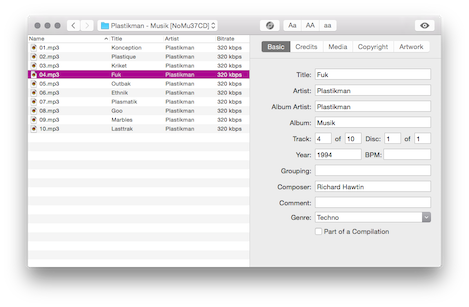 Rename files from their tags to your own specification, or get tags from the filenames themselves. Case transformation, trimming, and prefix & suffix tools make tidying up tags a breeze.